I’m so excited to feature this beautiful UBC Boathouse Wedding Vancouver Film by Kismet Creative. It was a typical rainy Vancouver day as we began makeup and hair at the Rosewood Hotel Georgia, but that didn’t put a damper on this bride’s excitement and definitely didn’t diminish how gorgeous everything looked at the UBC Boathouse Vancouver. Jennifer was such a beautiful bride, but first and foremost she is just such a lovely person. One of the reasons Jennifer booked with us is because she truly saw the value in hiring a husband and wife team for her wedding day. My husband and I own and operate Kismet Creative Wedding Films together and I of course own and operate All Dolled Up Makeup & Hair Studio as well, so it just made total sense to Jennifer to book both of us for her special day. We love working together and believe that everyone has their own unique love story, this is Jennifer and Kevin’s. Makeup & Hair by Principal Stylist Danielle and assisted by Lead stylist Andrea. Jennifer & Kevin // Wedding Film // UBC Boathouse, Vancouver, BC from Kismet Creative Wedding Films on Vimeo. After years of prompting from our clients and colleagues we finally decided to take the plunge. 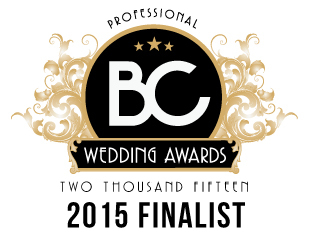 We submitted one of our weddings for the Best Wedding Makeup Category at the BC Wedding Awards. 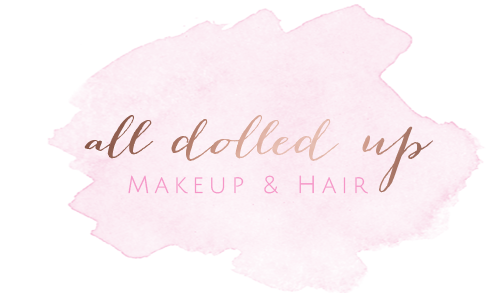 Much to our surprise All Dolled Up Makeup & Hair Studio was named as a finalist for the Best Wedding Makeup in British Columbia. We didn’t even care what happened next, we were just so proud to be named as a finalist alongside the best of the best in our industry. It was a great evening and we’re excited to enter again next year. I was lucky enough to be a part of a gorgeous wedding for a beautiful bride named Clelia. 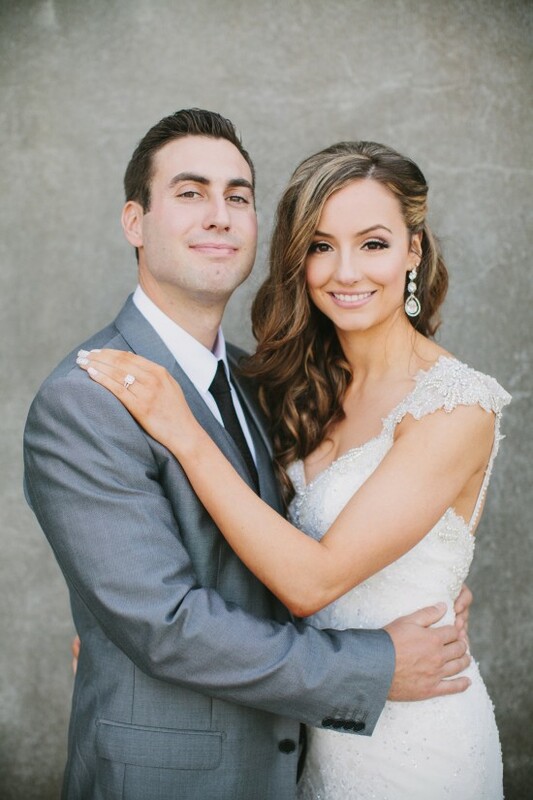 Like most of our brides, Clelia came to us because we are known for creating the most naturally beautiful bridal looks. She wanted to look like a more perfected version of herself. We focused on perfectly dewy skin with subtle highlighting, and soft smokey eyes with bold lashes to bring out her glamorous side. Her hair was set in large rollers to give her an uber luxurious bouncy hairstyle that complemented her makeup perfectly. Her stunning hair comb by Elsa Corsi was the final touch that just made everything sparkle. Thank you to the lovely Amber Hughes Photography for capturing such beautiful images of Clelia and her Bridal Party. Looking for a professional team of makeup artists & hairstylists to create a naturally beautiful bridal look? Click HERE to contact us and learn more about our Wedding Makeup & Hair packages.